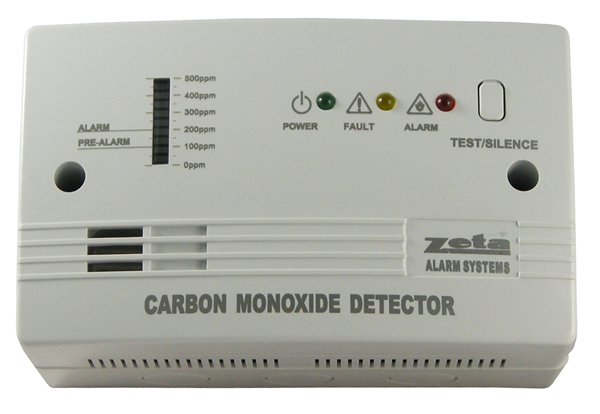 The CO-200 is the new stand alone CO detector from Zeta Alarm Systems. It has been designed with the same dimensions as a standard 2 gang fi tting, so can be installed either Surface mounted with it’s own backbox, or with a standard recessed box for semi-flush mounting. It can be powered either from 230V AC mains, or from a DC supply (9-28V DC). 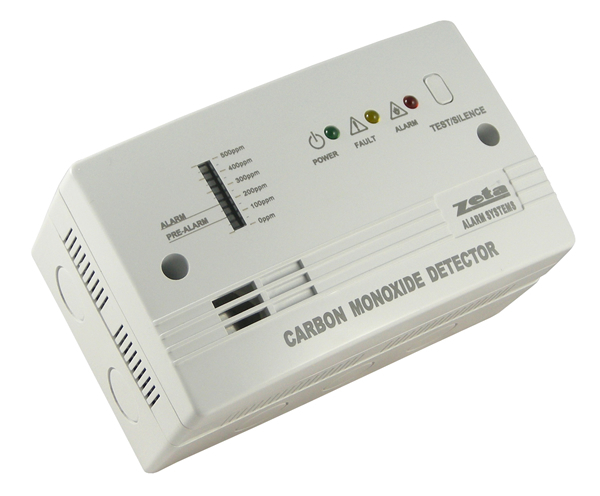 It has a built in bar graph display to show the current CO level reading, and has a 2 stage relay output which operates at fi rst alarm level (100ppm) & second alarm level (200ppm). 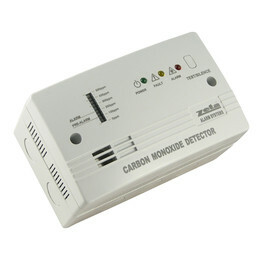 There is also a 5 volt alarm output capable of supplying 200mA. 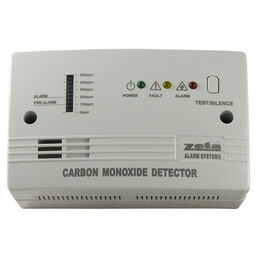 It has power, fault & alarm indications, as well as a control button for mute (press) and reset (Press & hold for 5 seconds).